Annie Turner was remodeling her kitchen and needed to know how much it would cost. She called Lowe's and a design consultant asked her to bring in an accurate floor plan and photos. Annie had a better idea. 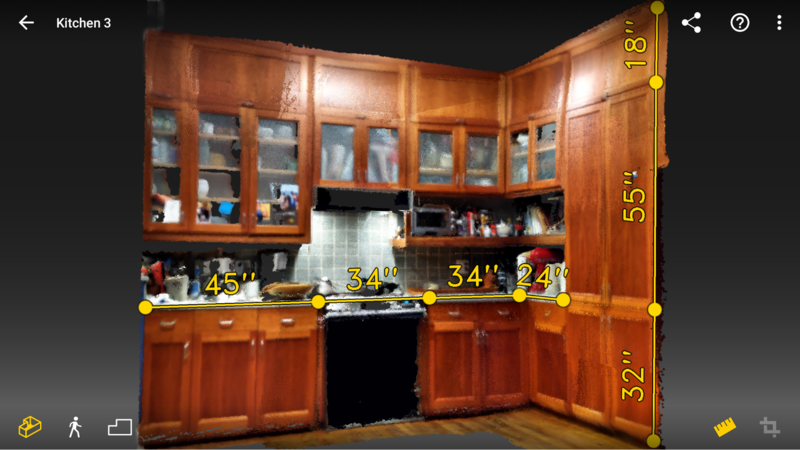 Using her Lenovo Phab2 Pro phone, she scanned a 3D model of her kitchen using the Matterport Scenes app. On her phone, she dimensioned the floor plan, and took it to Lowe's. There, the design pro was able to see the entire kitchen from different viewpoints, and measure things like the window sill height. He told her, "this is like you brought your whole kitchen to the store!" Sometimes you want to be able to see a place as if you were there…when you're not there. The Matterport Pro Camera is usually the best way to do this. 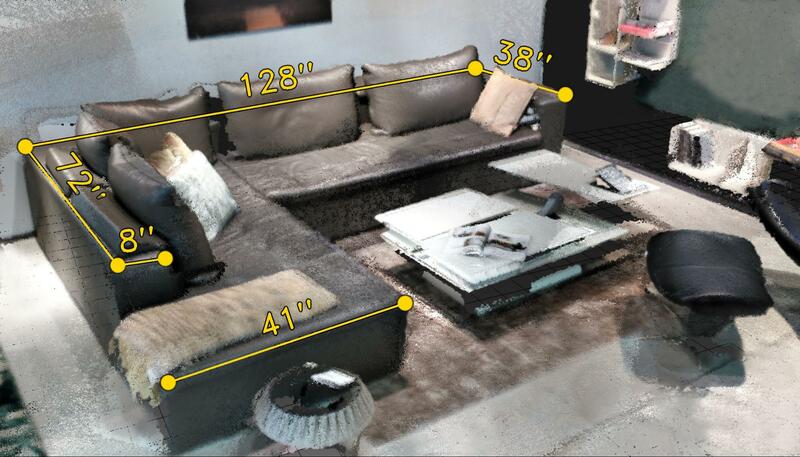 But what if you need a quick look at a small space and be able to accurately measure any object in the space? Perhaps you need to check lines-of-sight in a workshop, or you want to know how big a countertop is. We built Scenes to be a quick, easy way to capture small spaces, objects, utilities and furnishings in 3D. How convenient is Scenes? Well, Scenes is pocket-sized – it currently runs on Android phones that feature Google's Tango technology. It's like a 3D phone camera that can capture a space, to view it any time. You can see a captured scene from any viewpoint, any angle, and you can measure the size of anything you capture. And you can take it with you, anywhere. While Scenes provides a way to capture a space in 3D, it is not the equivalent of the Pro 3D Camera, with its incredible realism. Scenes captures a point cloud – dots in space – and renders them to look semi-realistic. It can capture spaces up to the size of a room, rather than a whole building. If you're buying furniture, you can take a model of your living room to the store with you…or scan a sofa at the store and bring it home. Either way, you can find whatever you need to know with a look at the 3D model. Scan small aspects of your renovation project during construction, so you you'll know exactly where the studs, beams and utilities are after you close up the walls. Documenting an insurance claim? 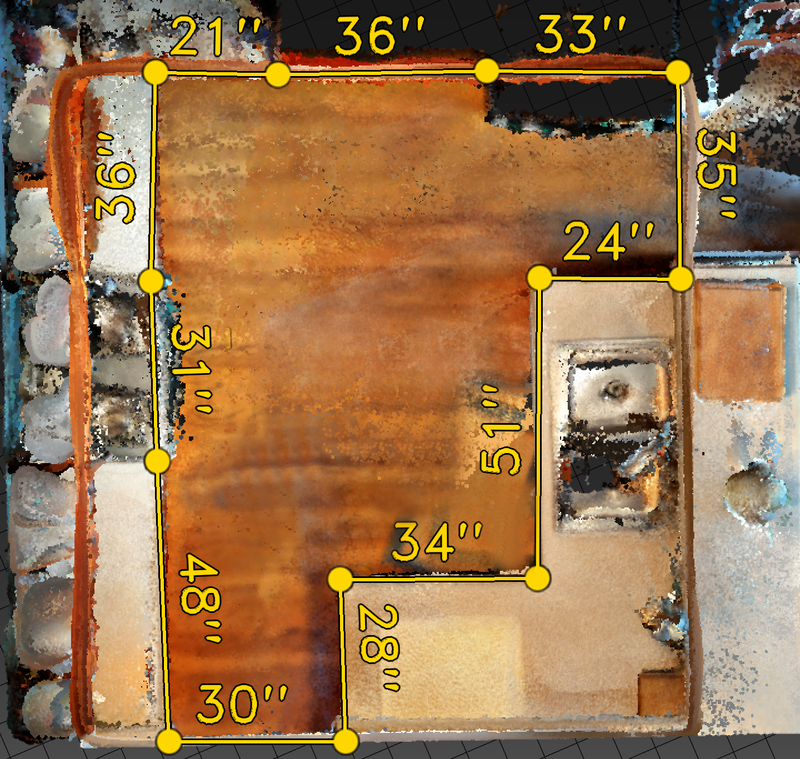 Scan building damage or an accident site to preserve it in 3D with measurements. Capture a flower garden in 3D and use the model to help imagine planting schemes, paths and seating. Since Scenes was released last fall, we've heard of all sorts of clever uses. They've captured almost 20,000 models – cars, office cubicles, electronic equipment, airplane interiors, assembly lines, construction sites and infrastructure like bridges and piping. And Annie’s kitchen. All this has been done using the first Tango-enabled phone, the Lenovo Phab2 Pro. It will soon be joined by the Asus Zenfone AR, and then others. Don't be surprised if handheld 3D scanning becomes as ubiquitous as phone photography. We at Matterport are doing our part to make it happen.